A High tech Knitwear Park with all ranges of Knitting, Embroidery, Compacting and stitching machines under one roof having a potential to produce 24,000 kgs. per day of quality hosiery fabrics and 5000 pcs. 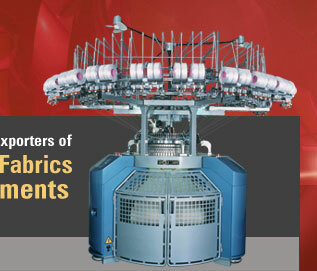 per day garments with high quality and committed delivery schedule. » Processed (Dyed and finished) knitted Hosiery Fabrics. 6 C Auto Stripper pattern Juq. Single & Double Jersey Pattern Juq.